William Boone will be giving a one-day hands-on Rasch Measurement workshop in Arps Hall. Participants will learn how to use Winsteps (a Rasch measurement software) and will need to bring a computer with the free Ministeps preloaded onto the machine. Space for this event is limited. If you are interested in attending, please contact Kathy Malone (Malone.340), Associate professor, College of Education and Human Ecology, Department of Teaching and Learning. The Office of Institutional Research and Effectiveness at Central Ohio Technical College is seeking qualified candidates for the position of Resource Planning Analyst. The summary of duties include: conducts quantitative and qualitative analyses of a broad range of college data and/or processes as a basis for strategic planning, information dissemination, administrative policy determination, outcomes assessment, quality improvement, mandatory reporting, and decision making. More information can be found here: https://jobs.cotc.edu/postings/3275. The deadline to apply is Sunday, May 14th. This seminar introduces students to scholarly and practitioner perspectives on internationalization and globalization of colleges and universities in the US. The course invites students to apply critical approaches and data from the readings to the examination of university policies, practices, and issues such as growing foreign student enrollments, global production of knowledge, international service learning and study abroad, and American universities’ strategies in the global market. The course engages several local and international administrators and researchers as invited guest speakers and emphasizes classroom discussion and exchange of ideas. The College of EHE Research Methodology Center (RMC) is pleased to announce a call for proposals for the Interactive Poster Session at its First Annual Interdisciplinary Methods Festival! Provide a place for student methodologists from across campus to showcase their work. 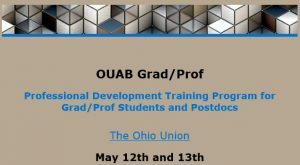 Facilitate interactions between graduate students and faculty to promote methods advancement and interdisciplinary learning. Work described in your presentation can be completed or still in the planning stages. Students are encouraged to choose the method of delivery for their presentation- a research poster, a 15 minute presentation or demonstration, or something else entirely. We want to see your creativity! Students currently enrolled in the GISQRM graduate certificate program are specifically encouraged to participate. To submit a proposal, please visit the online application at: http://go.osu.edu/2017IMFapp. 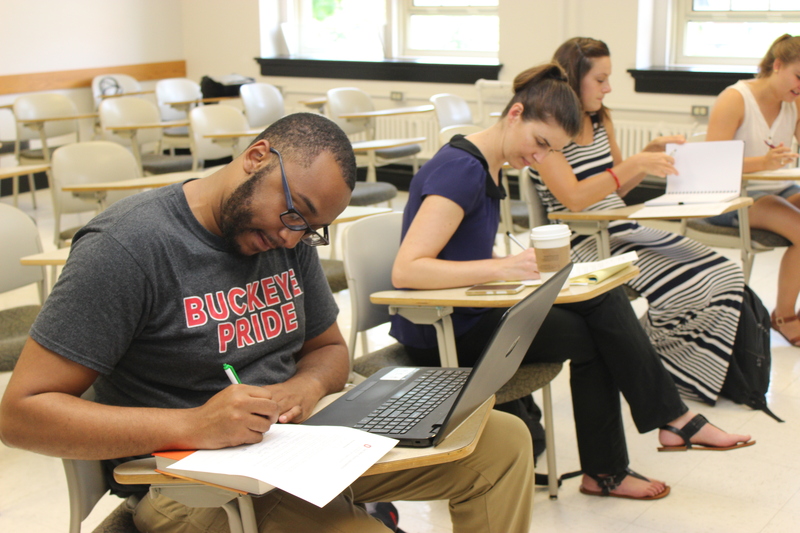 For more details on RMC’s first annual Interdisciplinary Methods Festival, please visit our website at http://go.osu.edu/IMF. Please contact Sandy Reed (reed.665@osu.edu) if you have any questions or require any additional information. 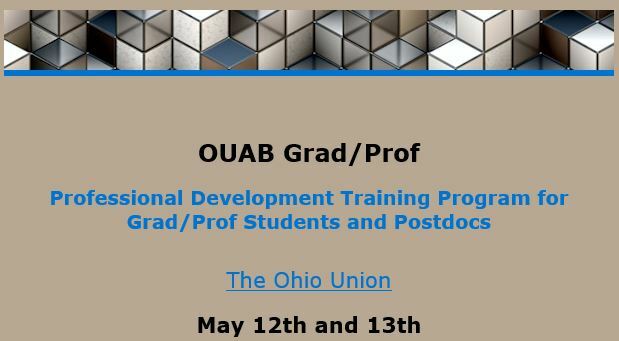 This two-day training program will provide graduate students and postdocs with a series of professional development workshops. Students can sign up to attend open sessions on Friday, to attend the full-day session on Saturday, or to do both. You can find the schedule of events attached here. If you have any questions, please contact Marcela Hernandez (Hernandez.16@osu.edu).